The key to elevating your style doesn’t involve an astronomical amount of money or a constant stream of designer purchases. In fact, a lot of it comes not from what you own but what you do. Whenever I look at the people who always present themselves impeccably, I always notice that they have a few things in common. Here’s where you can start if you want to elevate your look. People who have amazing style are always confident in their look. They know what works and what doesn’t and essentially what makes their look their own. If you’re still a little unsure of your style, pay attention to things that you always gravitate towards. Pinpoint the pieces that make you feel and look amazing. You’ll soon be able to distill what it is that defines your aesthetic. It’s important to make sure you’ve got the basics covered before you can evolve your style to the next-level. 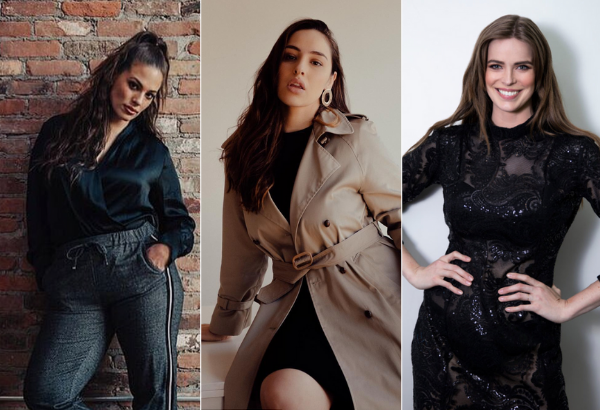 This means everything from having a go-to dress to having the right underwear for various silhouettes and casual staples like t-shirts and jeans. Having reliable pieces already sitting in your closet will allow you to concentrate on how you can give those things your own unique spin. There’s something quite special about having a wardrobe filled with pieces that are perfectly fitted to your body— clothes just sit better when they’re tailored. This is why it’s important to find a tailor that you trust. Try asking around in your social circle to see if anyone has someone good they can recommend or look up online reviews of various tailors in town. Another option is doing your own research by getting something altered and seeing what the result is. There are workhorses in every wardrobe and they need to be the best quality that you can afford. Don’t scrimp on things that you’re likely to use all the time like a work bag, or shoes that you’ll wear constantly on the weekend. Identify these key items and splurge on them. Quality items generally withstand wear and tear a little better. You can then be a little more economical with other things in your wardrobe that won’t get used quite as often. To ensure that your clothes always look pristine follow instructions on how to launder them, hang and fold garments rather than just dumping them on the nearest available space, and it seems obvious but always iron or steam garments before you walk out the door. Also store items like shoes and bags properly by keeping them in their dust bags and not piling them on top of each other so they lose their shape. To elevate your style involves looking like you’re confident in what you’re wearing. That means being able to pinpoint knowingly what works and what doesn’t for you and that involves being selective in the trends that you adopt. Experimenting with looks is great, but so is knowing what your style is and not feeling like you have to jump on every single trend to look good. How well do you know your personal style? Over the years and with a lot of trial and error I think I’ve finally got mine defined. Whenever I’m asked about my style now I can clearly define it in a few words: simple, understated and polished. That however, took several experimental years until I finally found my groove and discovered a certain way of dressing that meant I immediately knew if something was me or not. So what’s the benefit of confidently knowing what your style is? Well it certainly makes pulling an outfit together that much easier. I think having that knowledge of what encompasses your look will mean that it’s easier to know what’s not you. Which sounds simple but is actually one of the key things that can lead to you ending up with less random buys that gather dust in your closet and more items that will get worn time and time again. Once you know something doesn’t fit into the your style category then you’re less tempted to buy it. One of the best things about it is also the freedom that it gives you when you look into your closet and try to pull an outfit together. There’s less of the paralysis that comes with seeing an endless array of clothes that don’t all scream you and trying to make them work for an ensemble that you may or may not be happy with. Also, if you see a wardrobe that’s only filled with pieces that genuinely reflect you, you’re more likely to get much more wear out of everything you own and that’s a great big tick in the cost per wear department. So how do you define your personal style? I think it’s all about looking at everything you own and seeing what you wear often and what brings a smile to your face. If you take note of those pieces you’ll often find that they have an overarching theme linking them and that will help you on your way to finding a look that works for you. I find it’s helpful if you can think of three words to describe everything so you can call on those adjectives every time you’re trying to refocus yourself and remember what your style is all about. Once you’ve done this, I promise everything else becomes so much easier. Have you found your personal style? How did you go about discovering it? If there’s a box that I always try to ensure my look encapsulates it’s polished. Whether it’s a casual outfit I’m wearing to run errands with the girls or a work meeting or a big fashion launch it’s one of the overarching criteria that I try to maintain. And it doesn’t have to be hard. If there’s one thing I need all my outfits to be it’s easy so I’ve found some ways to ensure that looking polished is pretty straightforward to achieve. Here’s how I do it. Whether I’m in jeans and a t-shirt or a suit, the one thing I always make certain of is that everything is tailored to fit. That means things like hems are cut appropriately for my height and I’m not wearing a jacket that swamps me. Taking the time to ensure that everything is tailored beforehand ensures that anything I wear by default, looks polished. My look is very classic and I’ve found this is a great way to ensure I look polished. Whilst everyone has their own aesthetic, the one thing you can take away from this is that keeping your look simple often means it presents in a very put together way. This means choosing one statement piece and then keeping everything else simple. Whether it’s a pair of great shoes or knockout earrings, have one focal element and then pare back the rest. I’ve always been a bag and shoes girl and I’ve found they’re often the two key accessories that can make or break and outfit. So I always make sure that whatever bag or shoes I’m wearing looks neat and tidy. They don’t have to be expensive. but they do have to look presentable which means no scuff marks or stains. This is why I always ensure I use fabric protector on all my bags and shoes before I wear them. I need to get out the door in a matter of minutes most days so I’m all for beauty routines that are quick and easy. If I need to get out the door fast but don’t have time to do my hair I’ll pull it back in a low bun (which takes seconds) and I’ve got myself a sleek hairstyle for the day. I’ve also streamlined my makeup routine to a few simple essentials (see my full routine here) and that ensures I look presentable when I walk out the door but I haven’t had to spend a silly amount of time in front of the mirror. I don’t like ironing and I’m sure a lot of you feel the same. That said, I also can’t walk out the door with wrinkled clothes so a great shortcut is to invest in a handheld steamer like this. If I find something needs a press, I give it a quick steam and then I’m out the door. Most garments are steamed on photo shoots and it’s a trick that I’ve adopted into my own wardrobe. What are some of your shortcuts for a polished look? Nailing your personal style makes getting dressed infinitely easier. It helps you hone in what will and won’t work in your wardrobe with laser precision and you’ll end up with a more cohesive, wearable look. It’s also the kind of thing that comes with a little experimentation and a few little a-ha moments along the way. I’ve gone through my own periods of trial and error, dabbling with looks that I thought were “me” but ultimately I tended to gravitate back towards the same aesthetic. I like looks that are classic, polished yet still incorporate a trend or two. And knowing this has meant that everything from shopping to deciding what I’m going to pull out of my closet in the morning is a seamless process. If you’re still in the midst of rediscovering or honing your style you’re not alone. It’s often a process that adapts and changes over time but ultimately knowing what makes you you fashion-wise is at the core of what makes great style. Here are a few questions that will have you on the right track. What do I feel good in? It’s simple enough but wearing what makes you feel good is often the key to great style. This is because it generally means that you feel confident in your outfit and that’s often the thing that underpins any look that works. So if you find that you always feel amazing in feminine pieces then go ahead and make them a staple of your everyday look. If colour puts a smile on your face, then you’ll know that a muted colour palette might not be your thing. What do I always gravitate towards when I’m shopping? We all tend to have things that will immediately catch our eye when we’re shopping. Whether it be sleek, tailored pieces such as blazers or skirts or comfy, relaxed looks like jeans and t-shirts, there’s always something that will speak to you when you’re browsing and that’s a clear clue to your particular style. Start paying attention to what catches your eye to enable you pinpoint your signature look. What words describe my style? Think of a few words to describe your look. Often that’s a good indicator of what your overall style is all about. What pieces do I wear all the time? What we wear on a day to day basis often sends a message to the world about who we are. So think about what you want your wardrobe to say about you? Often this is a key area which can steer you in the right direction towards ultimately defining your personal style. Tell me—what things have helped you start to define your personal style? Are there particular swimsuit styles that always catch your eye? Whether it’s a certain colour palette, a print or silhouette compile a little inspiration board for yourself to help guide your search. Even it’s just a series of Instagram images you’ve saved, having a visual guide is extremely handy during any shopping trip. In an ideal world the perfect swimsuit would fall into your lap the first try and you can call it a day. The reality is however you have to be prepared to try on a few different types. Have a general idea of what you like but be prepared to venture outside your comfort zone as you never know, you could find yourself a pair of swimmers that look amazing on you but is not a silhouette you’d normally consider. There are so many great high-tech fabrications when it comes to swimwear these days that are guaranteed to pull you in in all the right places so use it to your advantage. I think the most important thing to feeling confident in a swimsuit is knowing that you’re not going to be fussing around and ensuring everything’s in place every five seconds! Invest in the best quality swimsuit you can to ensure that you’ve got the most flattering, perfect fit possible. Try every single swimsuit you like on. Sometimes something looks far different on the rack as opposed to when you’ve got it on and you never know when you may stumble upon the perfect style. Also this will enable you to slowly pinpoint the styles that are going to accentuate all your best features. I truly believe there’s a style to suit everyone and it’s important to devote some time to the process. Whether it’s your partner, your bestie or your mum, bring a trusted shopping buddy with you to give you an honest opinion when you’re trying things on. Fluorescent change room lighting can be less than flattering at times so it’s good to have someone there to give you a second opinion. Treat a piece of swimwear as you would your regular wardrobe and remember the things that are flattering for you. Do v-necks work for you? Then see how it translates to a swimsuit. You could try a halter neck top which has a similar silhouette. If you’re all about off the shoulder styles, you can find a similar top when it come to swimwear. What are some of your favourite brands for swimwear? One of the things I like doing every year is re-evaluating my work wardrobe and seeing what pieces need updating and what gaps there are to fill. Having my own business means I have a little more flexibility in my office attire but I’ve always still approached what I wear in much the same way I did when I was working a full time job at a newspaper and that is to look professional and polished at all times. 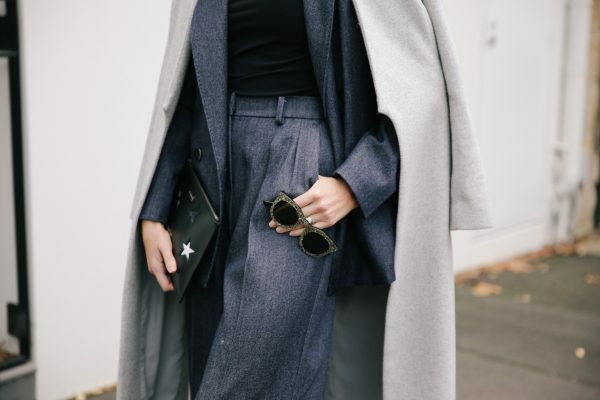 If getting dressed for work every day has become a bit of a struggle then you know that it’s time to reassess what you have and think about giving your style a bit of a refresh. Here are a few great places to start when it comes to your office style. The concept of office basics really depends on what kind of environment you work in. 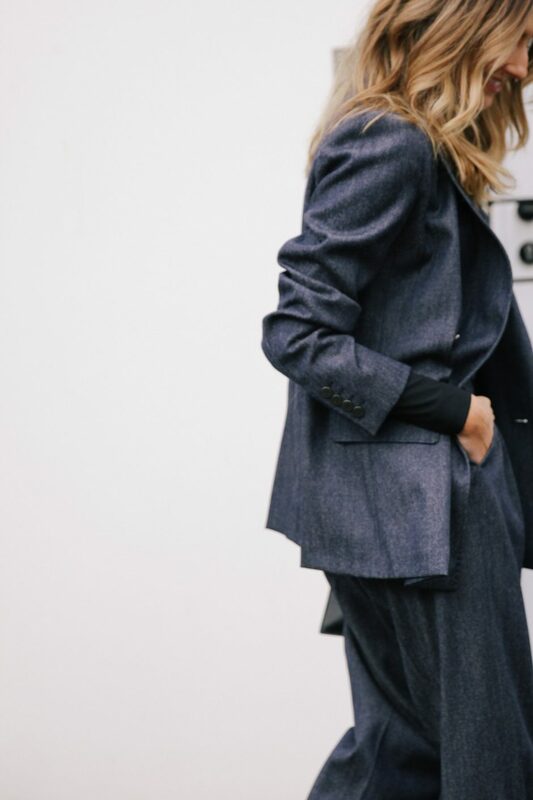 A corporate workplace will have a different dress code to a more relaxed creative environment, but the most important thing is identifying the building blocks of every look. So whether it’s a well tailored suit or jeans and a blazer, you need to ensure that these pieces are front and centre in your closet. Having this in place means you can afford to play around with your looks a little more. 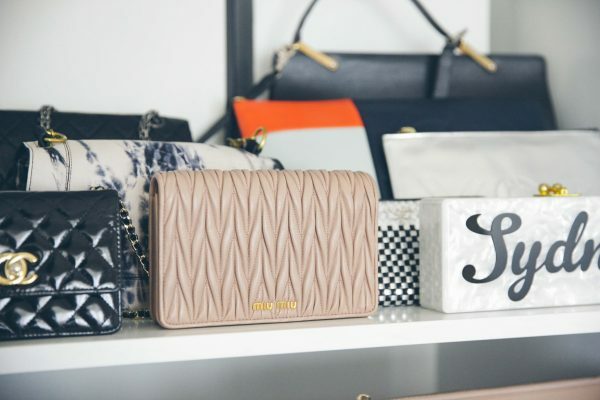 Accessories are one of the easiest ways in which you can take your look up a notch and inject a little more personality into your work wardrobe. A great pair of earrings, a stylish bangle or a necklace are all simply ways in which you can inject a little new energy into your attire. It’s easy to carry the same bag day in and day out but it can also get a little monotonous. Your work bag is one of the easiest places to give your office wardrobe a refresh. This year, why not try something different? If you usually carry a tote, swap to a shoulder bag and vice versa. Push the boundaries as far as your office dress code will allow and have a little fun. After all, it’s the one accessory that you will carry with you every single day so you may as well love it. 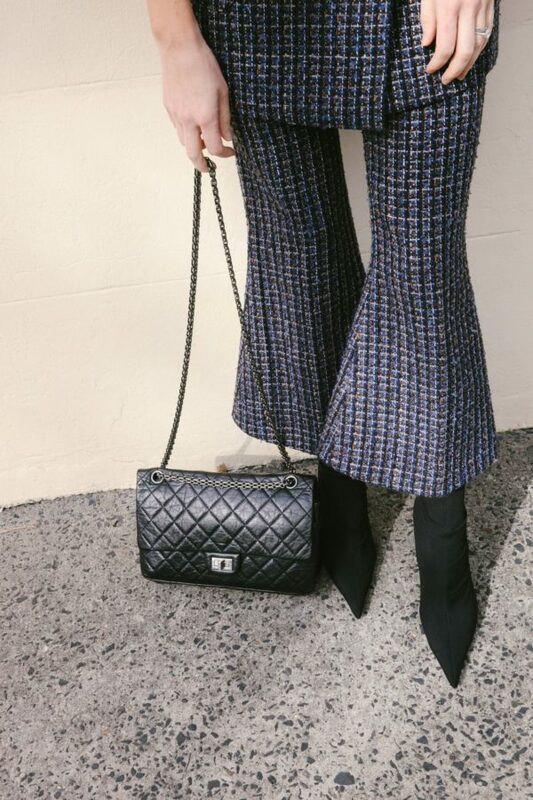 Everyone has their go-to pieces for work. I know I have a few that I turn to all the time. However this year why not make a commitment to try new things? If you tend to favour knee length styles opt for a midi instead. If you’re a fan of voluminous pieces try incorporating a few more form fitting items into your wardrobe. A new silhouette can often make your work attire feel new. It’s easy to get caught up in the wonderful word of wearability that is neutrals but an easy way to refresh your work looks is to incorporate a few bold items into your ensembles. A striking print here or a vibrant shade there can easily lift an outfit and bring it to life. You can also temper this according to your office dress code so it’s easily adaptable. If you’re still hanging onto things that you hope will fit sometime in the not so distant future it’s time to bite the bullet and toss them. If “someday” does come you can always make a few new additions to your wardrobe. In the meantime all those clothes are just taking up valuable real estate. 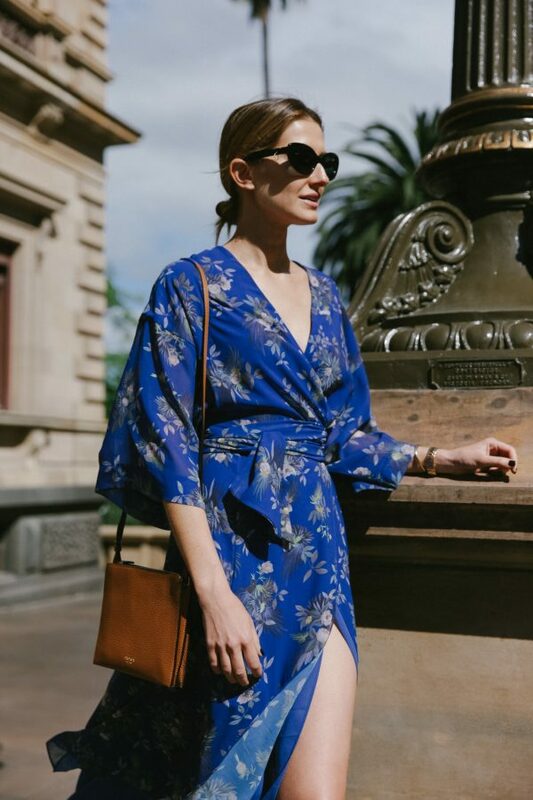 If you’ve got a closet full of party dresses but you barely go out these days or you’ve got corporate clothes aplenty but have started working at a more casual office then perhaps it’s time to consider farewelling those pieces. You can always hang onto 2-3 favourites then donate the rest to charity. Shoes that have seen better days are probably best retired. You want to always put your best foot forward (pun intended) and wearing footwear that looks tired doesn’t make a good first impression. If shoes can be re-soled or revived in some way then by all means go for it but if they can’t be salvaged then it’s time to bid them adieu. While we’re on the topic of footwear, if there’s a pair of shoes that leave you in agony every time you wear them which in turn means they hardly ever see the light of day then it might be time to retire them. Good undergarments are often where good outfits start so it pays to replenish your supply every so often. Ill-fitting bras that no longer offer support and underwear that’s faded or stretched are both good places to start. Investment jewellery is an entirely different thing so it’s exempt from a wardrobe purge but inexpensive costume jewellery is fair game. I’m talking earrings that you only wore once, tarnished necklaces, or bracelets that are gathering dust are all things you can afford to farewell. Looking polished is all about wearing clothes that sit well. If you’ve got things in your closet that have never sat right then consider having them tailored. If they’re beyond the alterations stage, for example if you’ve already tried to have it fixed but it still doesn’t look right, then it’s a sure sign that you should probably let it go. 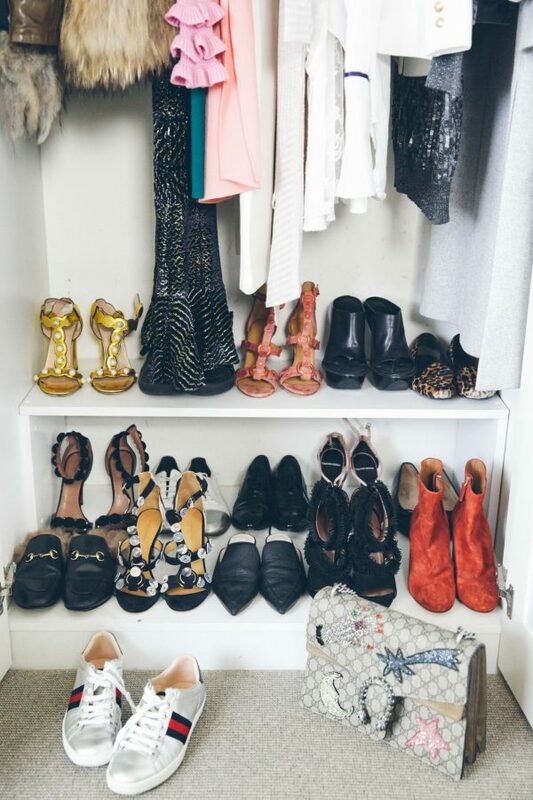 What are some things that you’re vowing to ditch from your wardrobe this year?